The Smart Piano, which is Apple MFi certified, can connect to a smart phone or tablet. On top of rapidly teaching you to play the piano, it can also accompany you to learn piano at home in easy and relaxing surroundings. Anyone Can StartPlaying TheirFirst Piano Piecein Minutes! The One Smart Piano, which is a digital piano, allows you to learn to play the piano by uniquely incorporating technology. This fun and enriching piano gives you the opportunity to play piano, all without a teacher. 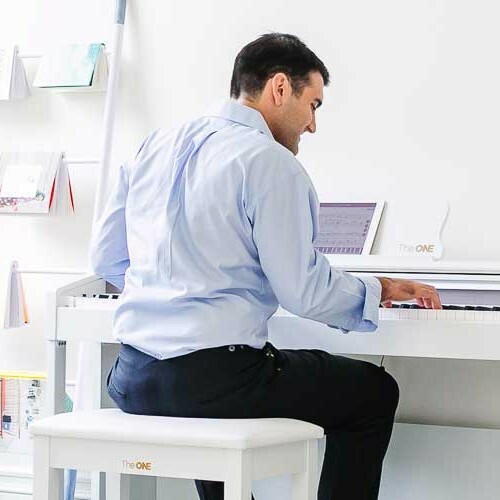 THE ONE Smart Piano uses a connection to your phone, tablet, or computer to sync with a free App. The App features tons of video lessons, a 2000 plus sheet music collection, and games to appeal to several styles of learning. The free App is available on Android and IOS devices. The digital piano has incredible LED lights built into the keys, allowing you to learn the piano without having to learn to read sheet music first. The lights guide the player to learn a song by working on muscle memory and hand technique, regardless of if you can read sheet music. This is beneficial to many piano learners in Australia because learning to sight read sheet music can be challenging and discouraging, all before you even play a full song! 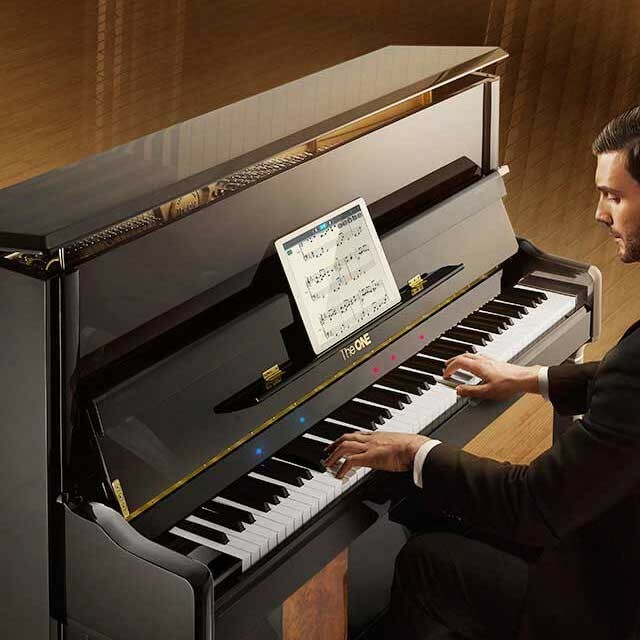 This piano teaches you sight reading as well by guiding you along the sheet music with the aid of the LED light keys. That’s It! You have never missed the window to learn a music instrument. Why not choose to learn the piano with the advanced technology of our time? Enjoy personal video lessons, practice, and games all on your own schedule in the comfort of your own home. Now you don’t have to move out looking for piano classes in Brisbane, Melbourne, Perth or Sydney. Want to learn more about The One Smart Piano? Talk to us now on live chat or visit one of our piano stores in Sydney, Melbourne, Perth or Brisbane. We’re here to help you get started today. A comprehensive grasp of the basics, performance mastery and music appreciation. Regardless of self-learning with zero basics, accompaniment trainings or attending professional classes, the smart technology has unearthed unlimited possibilities in learning piano! The smart piano learning features of The ONE specify your learning methods, achieving a higher overall efficiency in learning piano. Picking up piano is a much better way to nurture a full course of musical elements. Apple MFi certified Smart Piano – Superior advantages to learn on your own or with a real-time instructor! 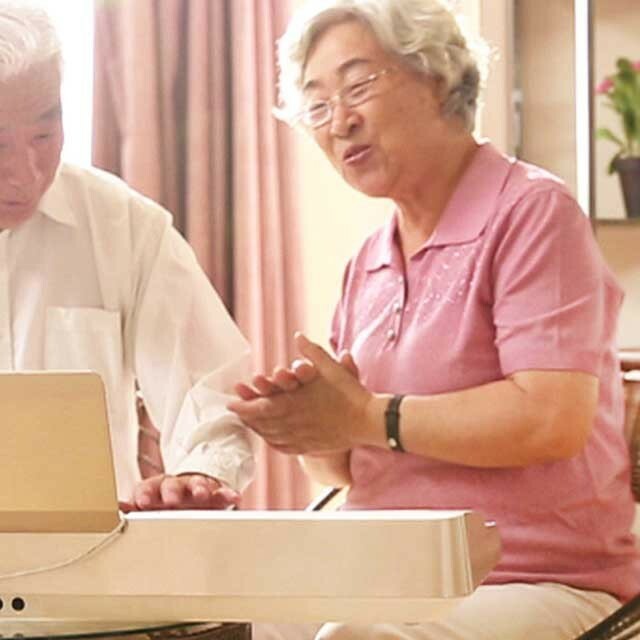 An alternative to traditional piano lessons, combines the joy of music with the benefits of technology to help make the learning process simpler, faster and more flexible. There's more than one way to learn the piano. Sometime private piano lessons aren't the right option for every aspiring piano player. Nowadays, incredible piano teaching technology can allow you to learn and practice on your own time. Using technology to learn the piano also presents a new way of learning that works better for some piano players than more traditional methods. The ONE Smart Piano in Australia has the latest technology that can help you learn to play the piano with ease. Advancements in technology-assisted learning can be applied to music learning as well as scholarly subjects. If you’re looking to buy piano online, you’ve come to the right place. Interested? Here's how to buy Piano online or in-store of Your Own! Upright, Keyboard, or Acoustic Piano? You can own a Smart Piano in three different forms: acoustic piano, piano keyboard, and upright piano. All three are high-quality pianos, so the choice is up to your space allowance and budget. The Light keyboard option is great for those looking for the most portable way to learn the piano. You can even practice without disturbing housemates by using the built-in headphone jack. The acoustic piano is the best mixture of classic style and smart technology. This piano is made of high-quality strings, hammer felts made from 100% virgin wool, foot pedals, and a strong wooden base. The upright piano is a great mixture of both options, as it features foot pedals and other classic features while keeping a lower price and smaller size than the acoustic model. You can conveniently order or buy piano online through the THE ONE Smart Piano Australia website here. We ship Piano Australia wide from our Melbourne and Sydney depots. If you need help with your order, please don’t hesitate to get in touch via our Contact us page.